Don’t take it from us – read what our happy customers have to say! So why spray foam for attic insulation in Austin? Spray foam attic insulation is being commonly used for not only insulating attics, but also for easily sealing hard-to-find air leaks. If you’re wanting to make your home in Austin, TX completely air leak-proof, spray foam is the best choice of attic insulation Austin has to offer. There are a number of reasons spray foam is the superior insulation choice. Here’s a few. 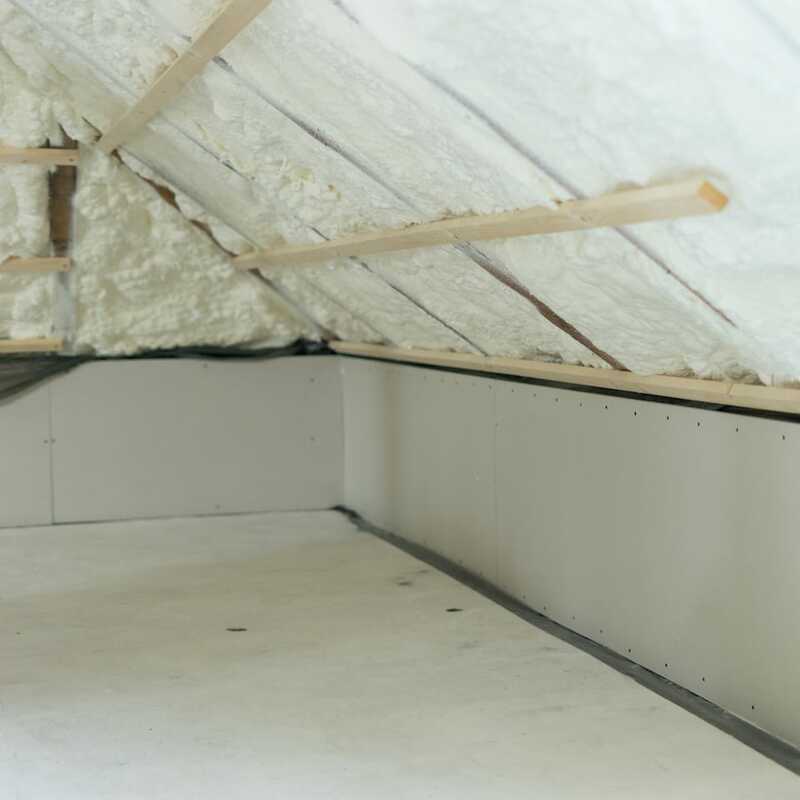 Due to its rigidity, spray foam installed for attics increases the lifespan and durability of the roof when compared to fiberglass or cellulose. When compared to other insulation types, spray foam insulation has the highest R-value per square inch – closed-cell SPF having twice the R-value of traditional materials like fiberglass and cellulose! Spray foam insulation is much more efficient in easily eliminating any kind of air leaks. It’s also impermeable to water, reducing mold formation in the attic. The adaptability of SPF (spray polyurethane foam) allows for easy installation into any kind of attic. Attic insulation can sometimes be tricky depending on the architectural elements of the roof. When compared to the other kinds of insulation, spray foam is the only kind of insulation that adheres to the interior surface of your roof. This adds an extra layer to your building envelope, reinforcing the strength of the roof’s frame. Do live near a busy interstate or airport? Using spray foam for insulation will significantly reduce the amount of noise from outside. 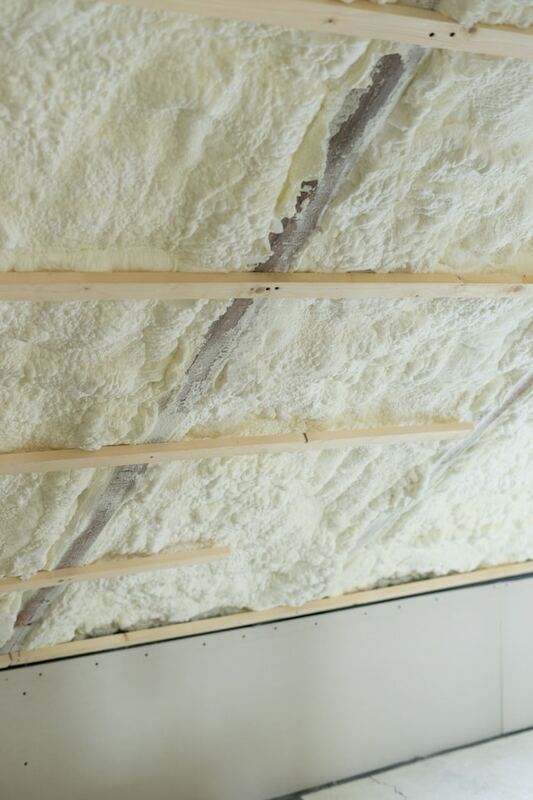 Open-cell spray foam is usually the better choice for soundproofing.